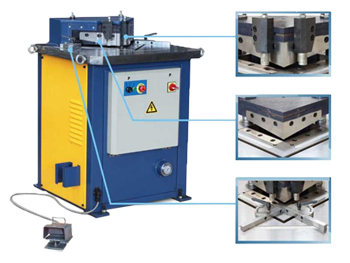 The open type power press machine body features a welding connection to ensure an excellent rigidity. The centralization of control using the PLC makes it easy for people to operate. 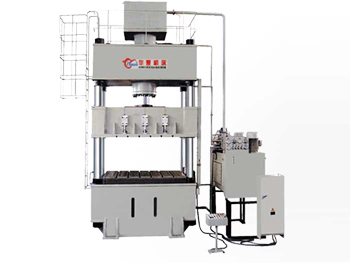 The highly rigid double crankshaft reverse operation counteracts the lateral force. The accuracy of the press meets JIS1 standards. A long guide rail with six sides ensures the punching precision. Pneumatic friction clutch achieves a smooth operation. When the solenoid valve is closed, the air pressure disappears, thus allowing the friction plate to completely separate using a spring quick reset. The safety double solenoid valve made in Japan ensures the safety of the product. 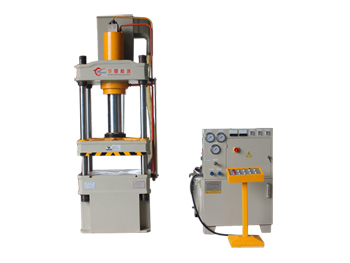 High sensitivity hydraulic provides the overload protection. 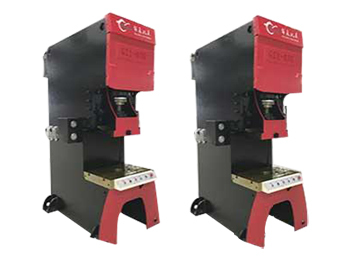 Heavy oil offers automatic lubrication to give the machine an excellent wear resistance. Frequency conversion also gives the machine an excellent wear resistance. 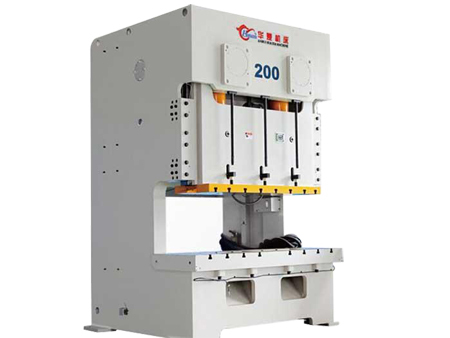 Customers can choose to have an output shaft, air cushion, sliding block feeding, automatic feeding and other devices installed.